When it comes to festivities, our family has one simple rule: Let’s Eat. It’s a simple, unwritten and unspoken rule, but it’s there nonetheless. 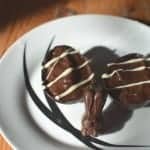 Getting us all round the table doesn’t happen overly often, but a festivity is something that really needs celebrated, and what better way to do that this Easter than to make dessert kirsch and cherry chocolate mousse eggs? 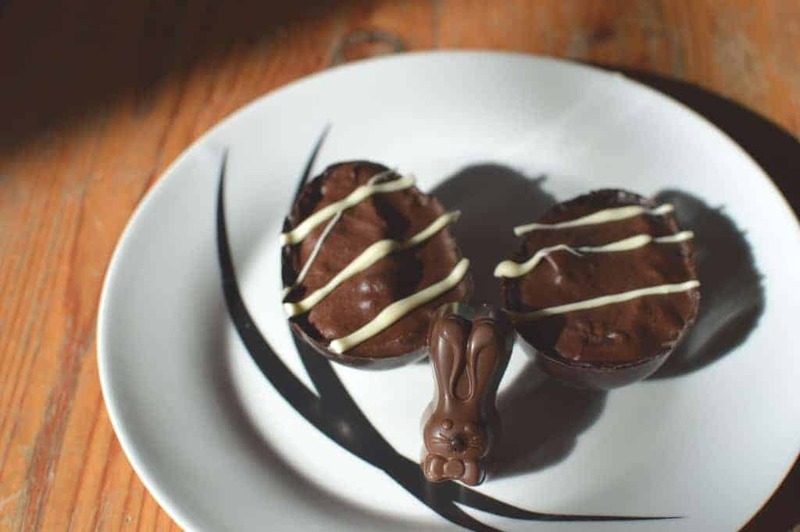 This Easter I suggested that instead of me bringing Easter Eggs from the shops I would make dessert for our dinner. It was unanimously agreed in under five seconds. And that, I can tell you, does not happen that often. Since it’s Easter I thought it had to be served in an egg – I mean, has to be, right? – but what fills the egg is really important. There were many, many ideas floating about my head, but eventually I settled on creating something rich, dark and delicious involving the cherries in kirsch that were sitting in a jar on the corner of my desk. Wait, you mean you don’t have a jar of boozy cherries sitting on your desk? 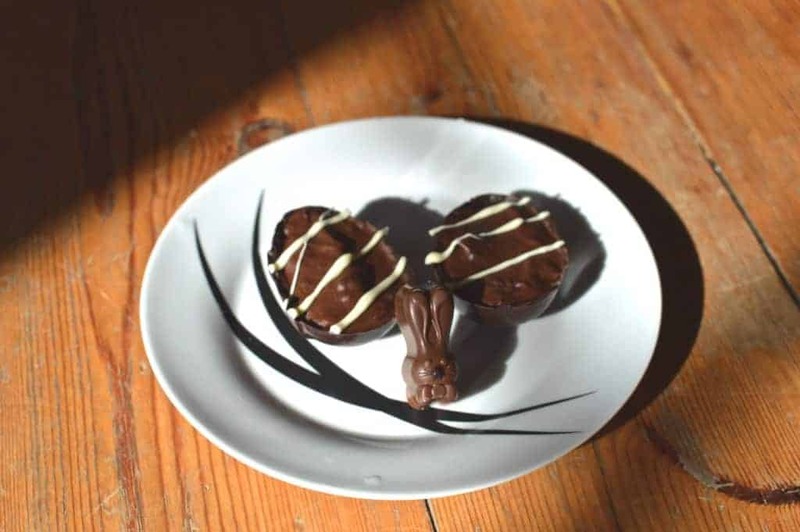 I’ve made Easter eggs before, so I can tell you that although they’re a little fiddly to make, it’s really not that difficult at all. 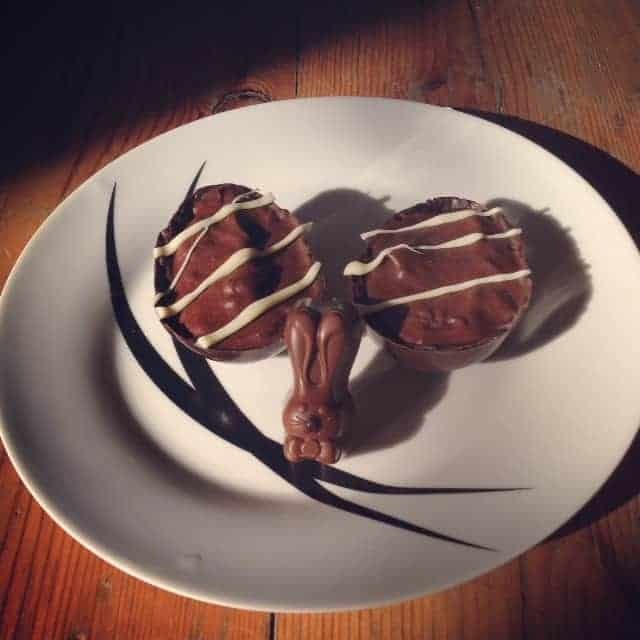 What I would recommend is using silicon moulds – I got these ones from Lakeland, it’s perfect for dessert sized eggs – I’ve tried other methods, but silicon moulds make the eggs much easier to get out and you’re much less likely to break something prising it out with knives or having to heat it up to get the mould loose. This chocolate mousse is so simple to make. No messing about with gelatine or other gelling agents, no thermometers and pretty much all you need to do is melt and stir. Easy, right? It’s a cheat’s recipe, some would say, but I disagree – let’s just say that the marshmallows just make it a much more efficient system. 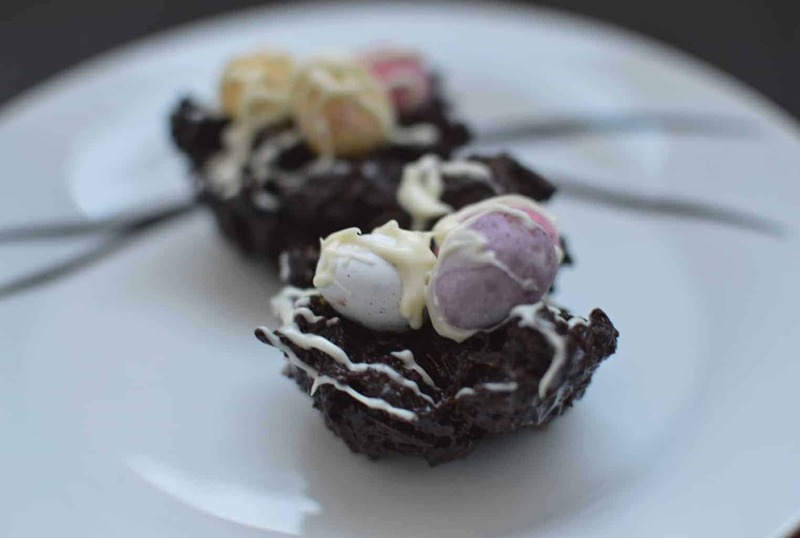 This recipe was made using last year’s Easter Treats as a rough guide to build on. The precise amount of cherries and kirsch used will differ depending on how boozy you want your mousse. This recipe makes enough for six eggs (about 10cm in length, I used moulds I got in Lakeland) with some mousse left over so you can attack it with a spoon later. I used cherries soaked in kirsch I was given at Christmas time. The day before, make your eggs. Break up your chocolate and put it in a large bowl over a pan of simmering water. Let it melt, then remove from the heat and allow to cool slightly before using a pastry brush to paint a thin layer over the moulds. Allow it to set (five minutes in the fridge, if your kitchen’s as hot as mine). Put the bowl back on the heat to melt again, then repeat the process. Do this 3-5 times, depending on the thickness of your layers – you want it to hold but too thick and it’ll be hard to eat. In the morning (remember you should have at least 4 hours before serving) make the mousse. Start by melting the dark chocolate in a bowl over a pan of simmering water, once it is half melted add in the butter and marshmallows and allow them to melt. Whilst the chocolate, etc. is melting pour the cream into a large bowl and whip it until it begins to come together, then add in the kirsch (careful not to add too much – it will affect the taste and will struggle to set). Whisk into firm peaks. As the chocolate mix melts, stir it together into a smooth mixture and then add in the cherries (if your shells are small like mine, chop your cherries in half). Take off the heat for a couple of minutes, then take a large dollop and gently fold it into the cream. Once this first step is mixed in, add the rest of the chocolate and gently mix it until combined – be careful not to knock the air out of the cream, it won’t set without it. Spoon the mixture into the eggs and smooth off the top with the back of a spoon. Put in the fridge to set for at least 4 hours (over night is best). Once the mixture is set melt your Milkybar (I do it by boiling the kettle and pouring it into a mug then just dunking it for a minute or so), then cut a hole in the corner of the wrapper and use it like you would a piping bag to decorate. 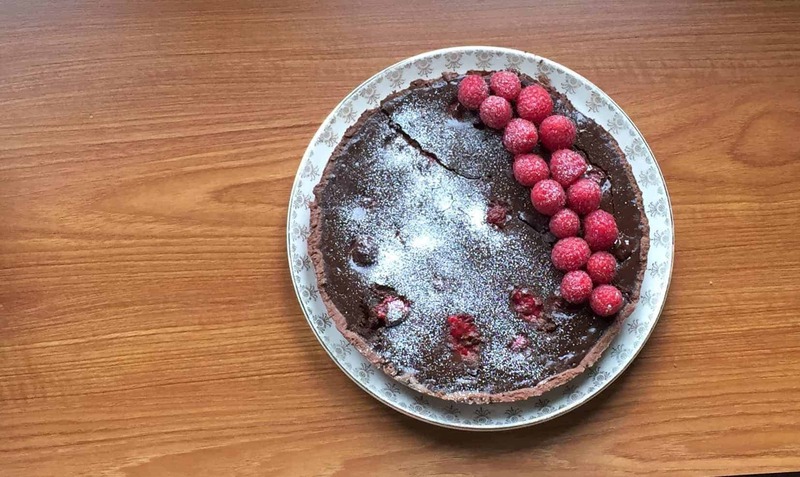 Great recipe, and crafty presentation!